A double glazed window gives life to a home, and enhances the ventilation and aesthetics of the house. Selecting a window that matches your home is not an easy task. It involves a tedious and difficult criteria. If you have decided to buy new windows or replace the existing windows of your home, it is vital to analyse the available windows, materials used and the energy saving features in them. 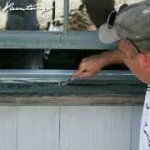 This criteria is no different when it comes to window repairs London either. 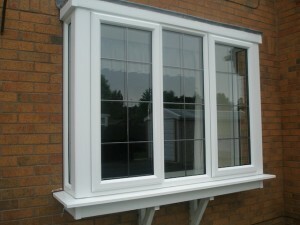 Hi-tech windows play a major role in almost all homes in London. Old fashioned Britons will not take note of the latest hi-tech windows available in the market. These windows are equipped with all the modern technology, styles and quality. . The glazing frame could be chosen from wood, vinyl or metal materials. Wood is durable and strong, but it needs regular maintenance. Wood can be affected by extreme weather conditions. The effect could be minimised by applying a coat of pain over the wood. Aluminum frames are energy efficient as it has thermal break lines with rubber or plastic to prevent air from entering through the frame. Aluminum will not absorb water and stick to a brick or stone wall quickly. UPVC is also energy efficient and costs less than wood and aluminum. It needs low maintenance and no painting at all. It should contain more internal chambers for better insulation. There are vinyl-clad wood window frames, which are quite expensive than all of the above mentioned. natural wood is fitted with vinyl cladding, and no maintenance is needed for this type of material. vinyl-clad wood window frames are extremely durable. 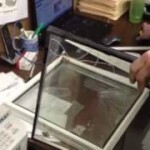 The energy saving ability of a window glass is measured by its U value. The windows with the lowest U value will have the highest energy retention. 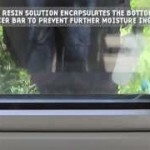 Window glasses could be classified into several categories such as wired, figured, tinted, laminated, float, toughened and insulated etc. Each of the above type of glass has its own advantages and disadvantages. The window glass should be able to filter ultraviolet rays and show good performance in holding back the excess heat. Selecting such a window glass would be the best option for your home in London. The most common fault with double glazing is when the seals on the glass panel breaks down and allows condensation to form in the gap between the units glass which will get worse until the whole window is misted. The service provider you choose to perform the double glazing replacement job should be highly skilled and experienced in handling such projects in the past. They should possess highly skilled staff, who are technically qualified to perform such tasks with ease. 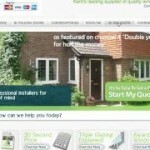 The internet is the best place to compare the services of double glazing repair London companies. There are many companies listed on the search results in Google, and the best service provider will have positive reviews from their past customers. Calling these clients to verify their claims will keep you in good stead in finding the best service provider to replace your home windows. Choose the best service provider and get a quality job done in replacing your home windows.